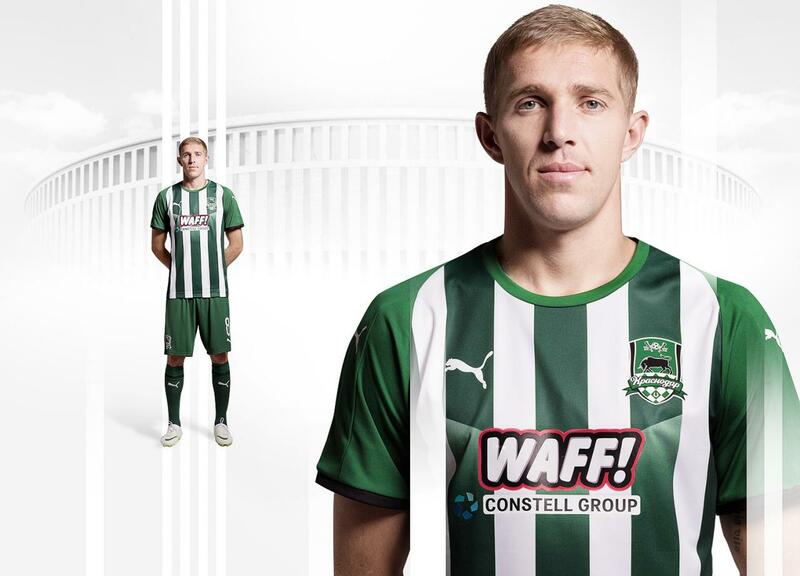 Russian football club FC Krasnodar released their new third kit for the 2018-2019 season made by Puma. 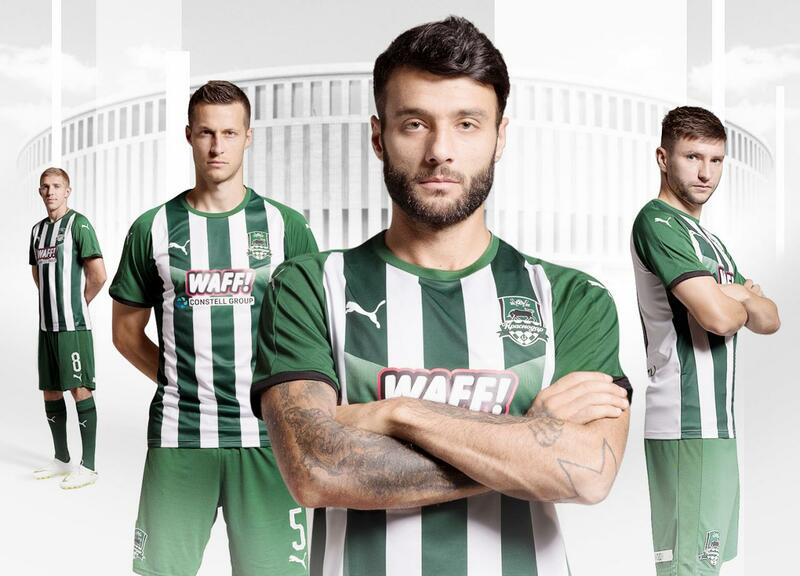 The new FC Krasnodar 18-19 Third Kit features bespoke design in the white and green vertical stripes, black cuffs and the V-shaped line on the chest with the gradient effect. 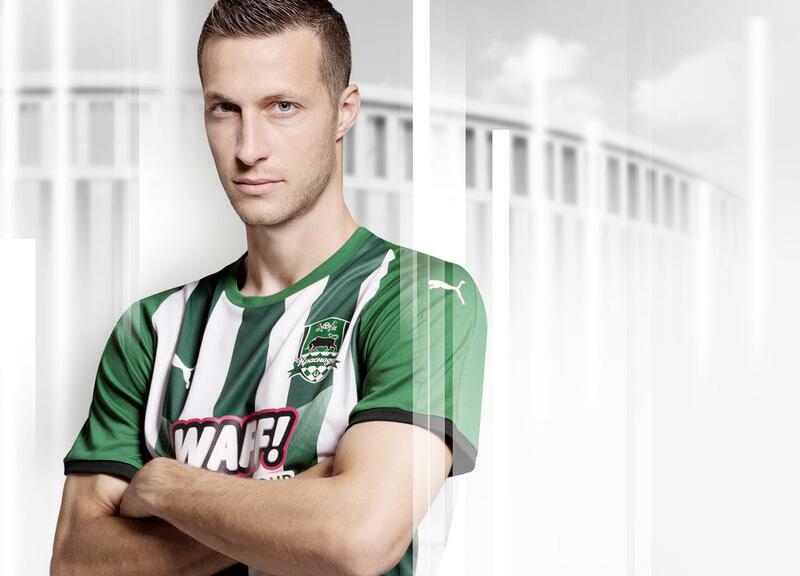 This is the first time since the club was found in 2008 when they used a stripes design in the kit.